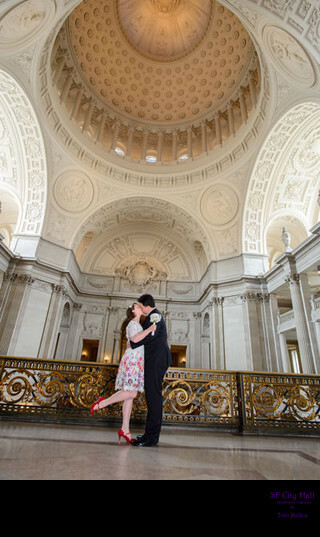 The Mayors Balcony at San Francisco City Hall is a lovely location to capture those romantic wedding moments. 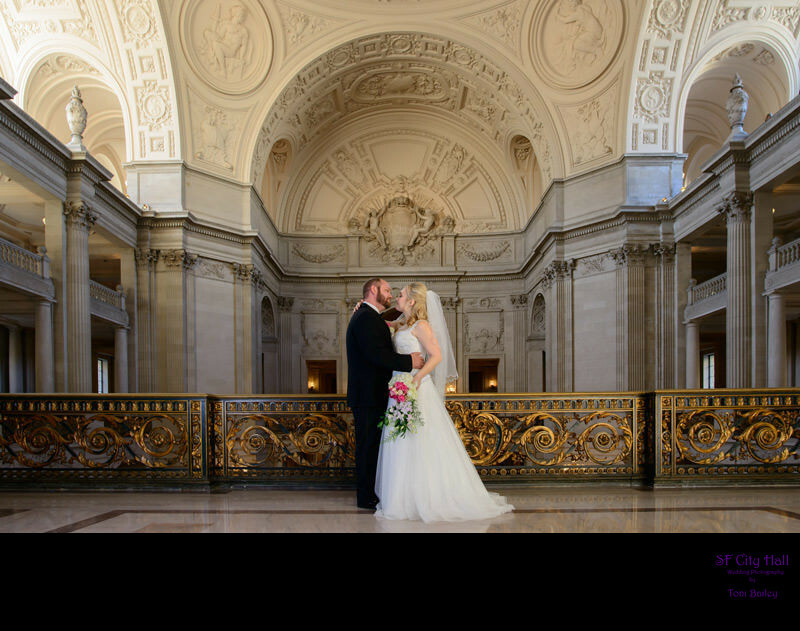 We typically take all of our brides and grooms here to get some nice architecture images. 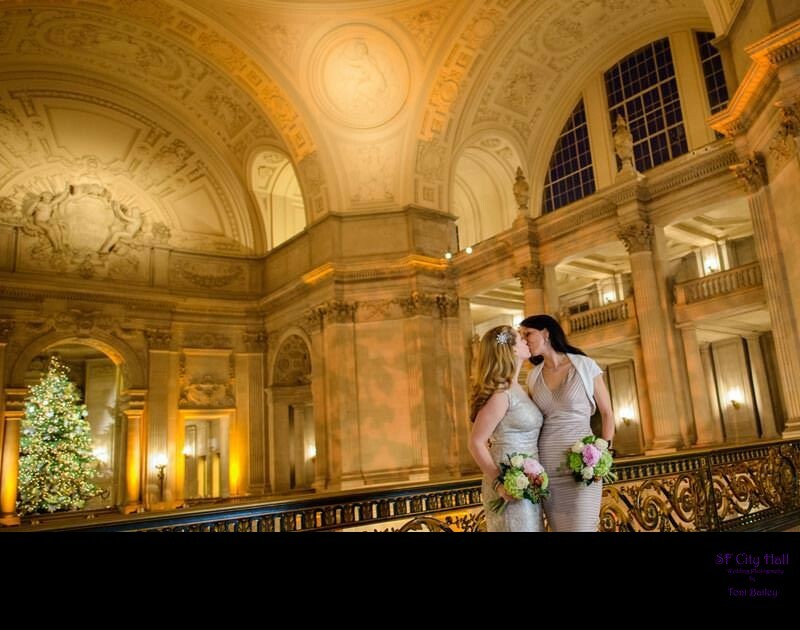 It has the advantage of facing the Rotunda and at the same time displaying the Grand Staircase and all 4 city hall floors. 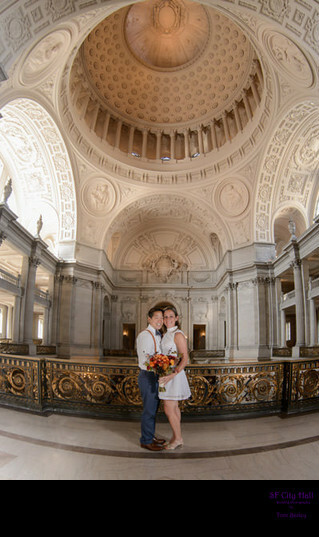 Definitely one of our favorite city hall wedding photography locations.